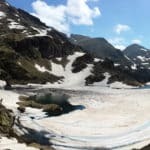 Let Jordi, an UIMLA mountain leader, take you across the mountains of Andorra. 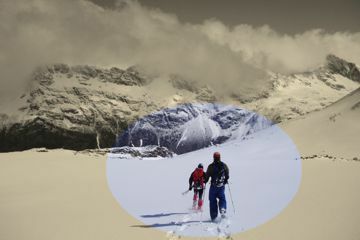 Join him on this ski touring course, to learn all the basics of this wonderful activity, while you explore this magical place. Hidden between majestic mountains and enchanting valleys in Europe, there’s a small but fascinating country, that offers some of the best spots for winter sports: Andorra. 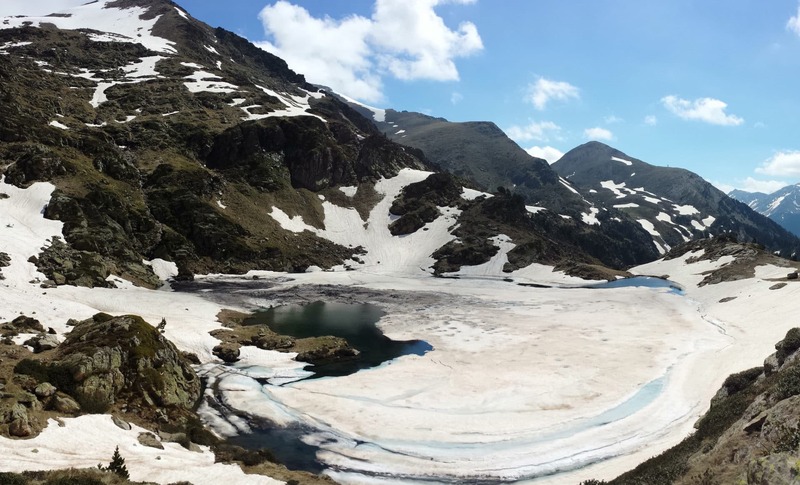 Located right at the heart of the Pyrenees, Andorra’s peaks will simply hypnotize you. And what a better way to unveil all its beauty, than ski touring across it! Ski touring is one of the most enjoyable ways to explore a place. The nature of this activity allows us to combine the best skiing descents with hiking through magical places. Just skiing might be too restrictive, as you remain in the confinements of a ski resort. And hiking, may just be too hard during certain months of the year, when the snow has covered most of the land. Also, when we embark in a ski touring adventure, we get to discover wild and remote places that otherwise would be almost impossible to reach. So ski touring, gives us the opportunity to truly enjoy both, exploration and descents. However, it requires certain knowledge beyond skiing. Therefore, I’ve designed this trip as an introductory course for those initiating in this marvellous activity. Please note that in order to join this course you need to be able to control your skis with basic turning techniques. And you need to be in a good physical condition, as well as have some experience trekking. If you fit the requirements, don’t hesitate and send me a request. Let’s explore this wonderful winter paradise! Looking for a summer adventure? I also guide this Clots de l’Aspra guided via ferrata for beginners. There are plenty of options I can recommed. You must be at least 16 to join this course. Andorra 3000 is composed by a group of guides who share the same passion: the mountains. Our goal is not just to guide you or to teach you but to share with you a way of experiencing the mountains and the nature around us. We also want to share with you everything we have learned over the years as we explore the most remote corners and uncover nature´s well-kept secrets. Our team is made up of mountain guides who specialize in all the different disciplines: climbing, mountaineering and skiing. We work to provide truly unique experiences. Join us and discover everything Andorra and the Pyrenees have to offer! to ensure clients meet their target in terms of what they want to achieve! This is one of the best hiking trips I have been through so far among all my hikes! Thank You! intermediate hikers who do not mind climbing up and down, this is highly recommended. Our guide, Jordi Salles is absolutely wonderful and professional. He cares a lot about our safety and he also cares about our objective in what we would like to achieve. This tour was a life-time experience for me and I am very happy that I did it. Thank you very much! Off piste skiing - 2 days - Interm.